Hours of Operation: Monday–Friday, 7 a.m.–6 p.m. 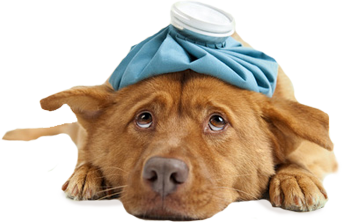 Suburban Animal Hospital is a trusted animal clinic in Roseville, MN that is here for all your pets needs. From routine vaccinations to diagnostic testing and surgical procedures, you can count on us to help keep your dog or cat healthy. If he or she seems injured or under the weather, make an appointment with us, and we’ll see both of you as soon as possible. We work with pets of all ages to help them live long, healthy, and happy lives. Pets need medical care and disease prevention just like people, and we provide all of the shots, screenings, exams, and imaging they require. These are small investments with big payoffs; they prevent a whole host of problems that could compromise your pets health. Prevention of illness or disease is often easier, faster, and more cost-effective than treatment. We can let you know which types of wellness services your dog or cat needs based on its breed, age, and other factors. One of the most important facets of our animal care clinic is our diagnostic services. If your pet’s energy level or spirits suddenly change it could be an indicator of an underlying health issue. Non-specific signs such as these can be difficult to localize, however through the combination of physical examination, lab work, and diagnostic imaging such as x-rays or ultrasound, the cause for symptoms may be identified. Our screenings, X-rays, and other tests can help to determine the source and extent of illness and this information subsequently plays a key role in treatment recommendations and prognosis. Roseville, New Brighton, and Falcon Heights, MN.